A home can only be ideal when you have all the necessities to cater to your requirements. In the living space, a carpet, sofa set and a diwan is a requirement to impart the look as well as offer comfort. But in case of diwans, you need a cover that is attractive and soft to bring out the true beauty. For latest and high-grade covers, you can visit our website. Rust brown diwan-e-khaas is the leading cover which you can avail from swayamindia.com. In spite of the eye-catching traditional appearance, these diwan covers have an impressive texture quality. The soothing surface of these covers will certainly provide you a calm sleep all night long. Everyone loves to rest after work, but no one can have a good time as there is no comforting place. Your diwans can be set up as your place to relax by covering them with soft and smooth covers. The designer cotton diwan sets are intricately woven using high grade cotton yarns therefore they are smooth and ideal for the skin. You can sit, sleep and enjoy your time in the diwan without a pinch of irritation as they are skin friendly and free from allergens. Further, they do not allow accumulation of dust and germs which helps to maintain a hygienic condition. Moreover, they are breathable which helps to maintain the temperature of the diwan surface. 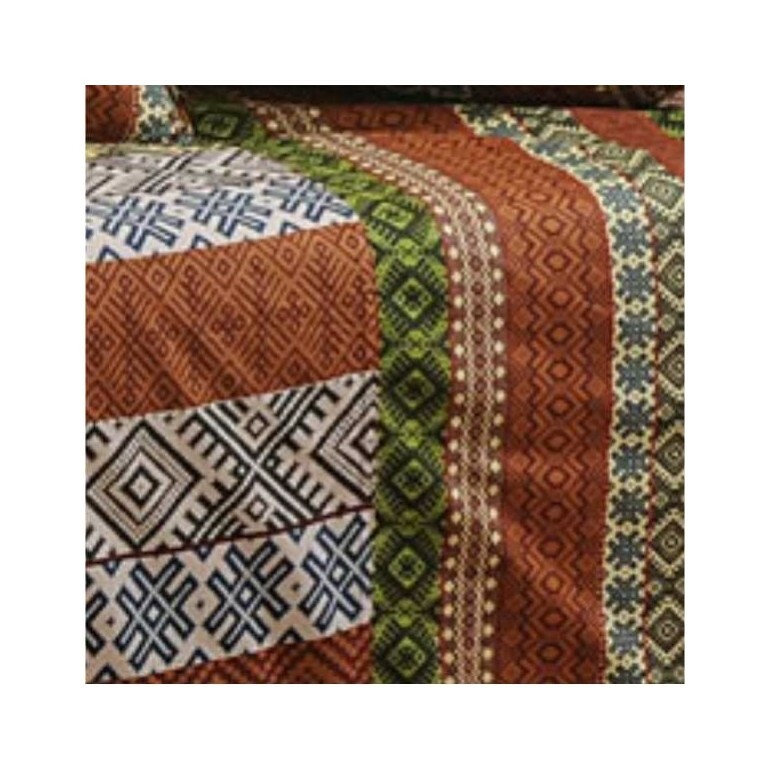 The excellent texture of the diwan is backed by combination of fabulous colors which gives them a attractive appearance. The complex geometric design will take you closer to tradition and impart a lively appearance. The designs and patterns are precisely printed with a mix and match of numerous colors to reveal the intricacy. 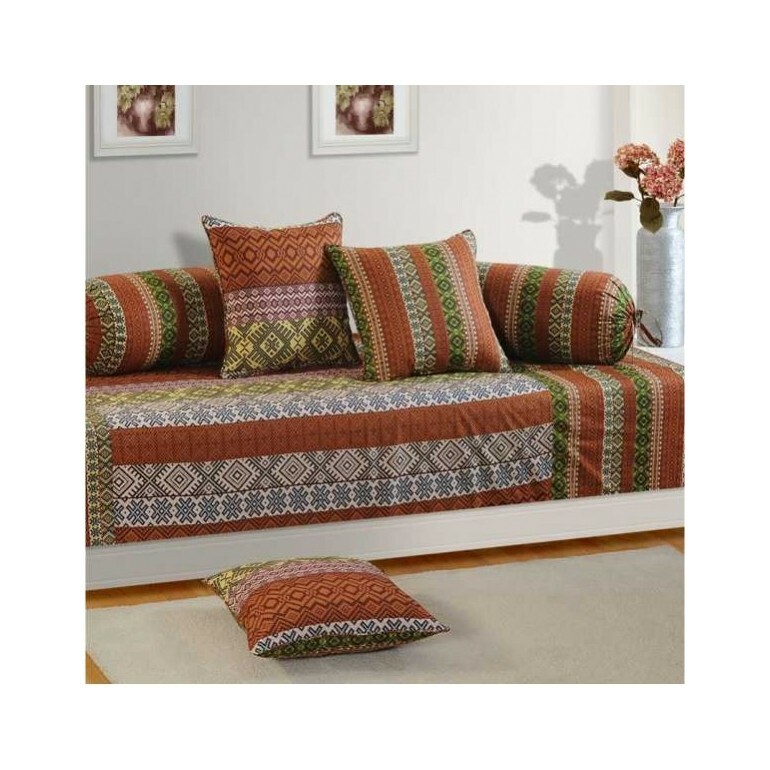 Buy Rust Brown Diwan-e-khaas from our online shopping portal swayamindia.com and keep you home organized. These linens do not require much maintenance as they can be washed in a machine. 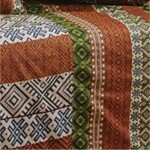 The designer cotton diwan-e-khaas is colorfast and strong therefore ensure a long term service. We recommend you to wash these linens using cold water and dry in shade. 2 matching bolster covers are offer with each diwan cover as complementary products. Buy Rust Brown Diwan-e-khaas from our online shopping portal swayamindia.com and see the changes for yourself. Payments can be made through our secure money transaction methods or you can pay cash on delivery. You will be provided with full buy back in case you receive defective products.